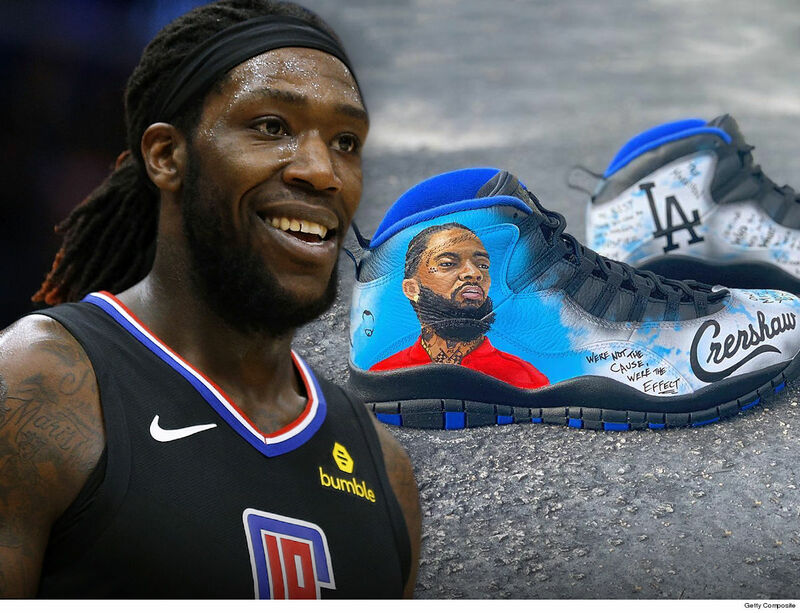 Montrezl Harrell will be reppin’ the late Nipsey Hussle when the L.A. Clippers take the court in the NBA playoffs … honoring the L.A. artist with a pair of one-of-a-kind kicks!!! TMZ Sports has learned … Trezz wanted to pay homage to Hussle in the Clips’ first playoff game this weekend … so he hit up Marcus Rivero AKA Soles By Sir to whip up the special Js. 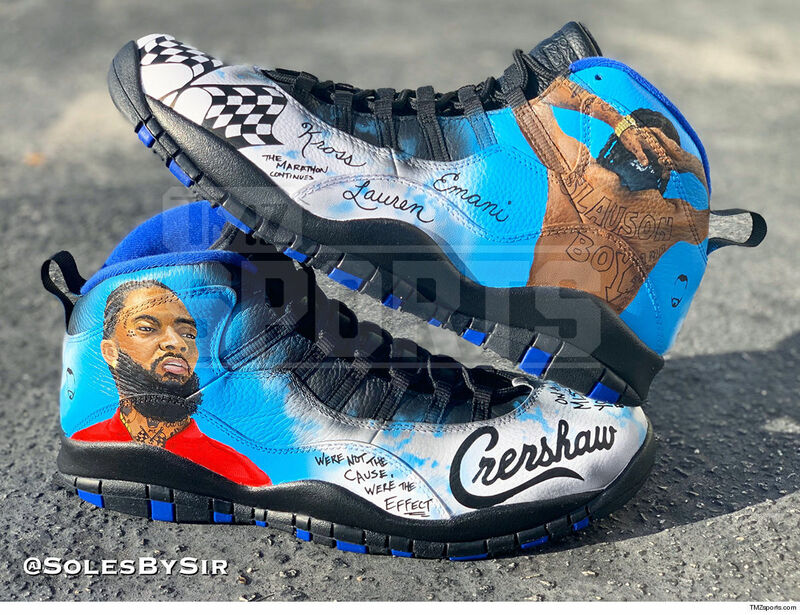 Rivero tells us the shoes are extra special … and feature the names of people close to Nipsey — his longtime GF Lauren London, his children … as well as lyrics from some of Hussle’s songs. Trezz has been honoring Hussle since his tragic death late last month … and even wore a custom Clippers jersey with Nipsey’s name on the back. Of course, other NBA stars like LeBron James and Russell Westbrook — who dedicated his 20-20-20 game — have honored Hussle. We’re told Trezz will wear them when L.A. takes on the Warriors.